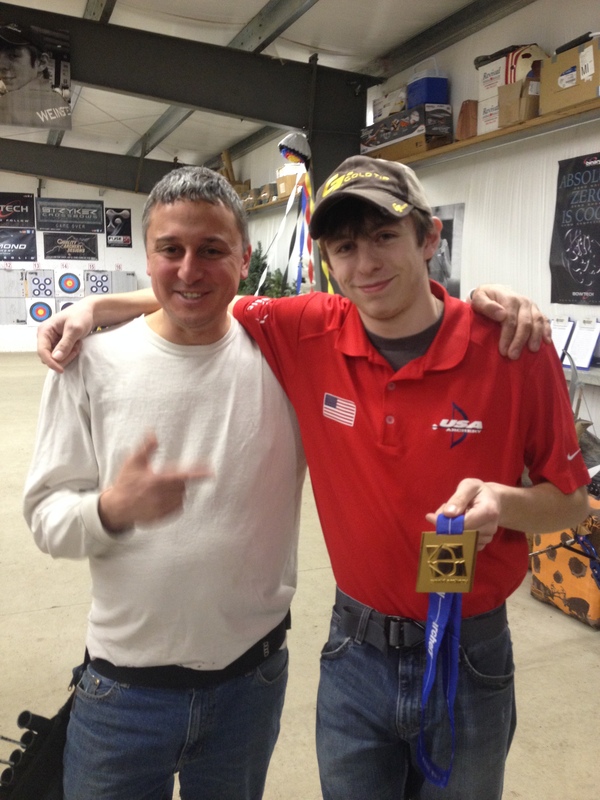 I walked into Lakeside Archery in Yarmouth, Maine on Saturday to find Charlie Weinstein just back from competing at the World Archery Indoor Championship in Nimes, France. The range was decorated with a big banner welcoming him back, there were large pictures of him around the range and a party to celebrate his achievement. 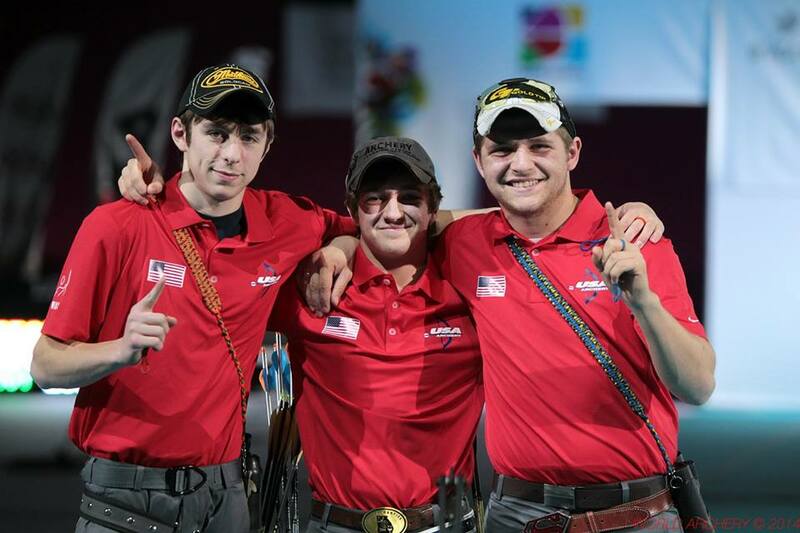 Charlie and his teammates, Bridger Deaton (Pella, Iowa) and Dillon McGeorge (Loganville, Georgia) formed the compound junior men’s team representing the US. Their dead solid win in the finals against Italy (233 -221) earned them the gold. I hear those arrows were made from Hershey Kisses! 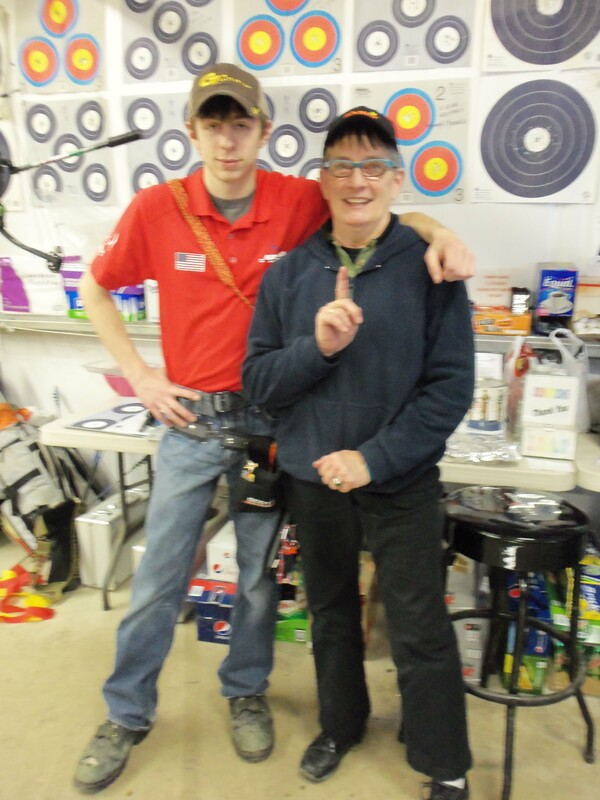 I’ve been coming to Lakeside Archery for some time now and Charlie is always there, he has tremendous commitment to the sport and is fortunate to also have tremendous commitment from his parents, his extended family, the archery community and Lakeside Archery. Me and Charlie Weinstein, Charlie is holding his gold medal. While there I spoke with his father David, also an archer, who was waiting for a stop in the action to get a picture of both of them at full draw, obviously proud of his son. I also spoke with his mother Marianne who told me just how good this had been for Charlie’s confidence. I gave this some thought and really what could be better for a young person than to see their dedication, years of practice and constant honing pay off. The experience as a whole seems to provide a positive foundation to achieve future goals and meet life’s challenges. Valuable indeed. 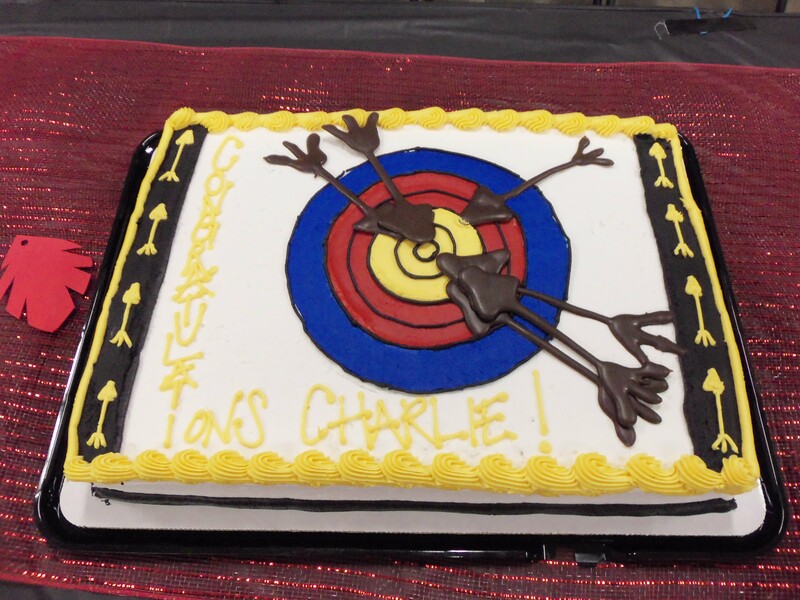 Congratulations on your achievements Charlie!